If you slightly adjust the angle of the first photo of the Winterset water tower in Pt. 1 of my Winterset, Iowa post you will notice the street sign reads John Wayne Drive. And rightfully so the main road through Winterset is named after its favorite son. 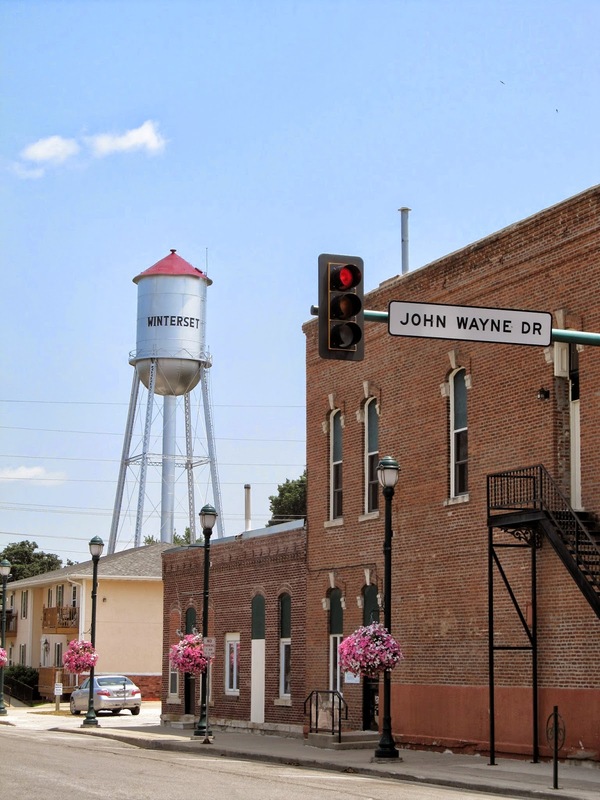 Winterset is currently constructing a new John Wayne Museum which will take up two city blocks and will completed in early summer 2015. 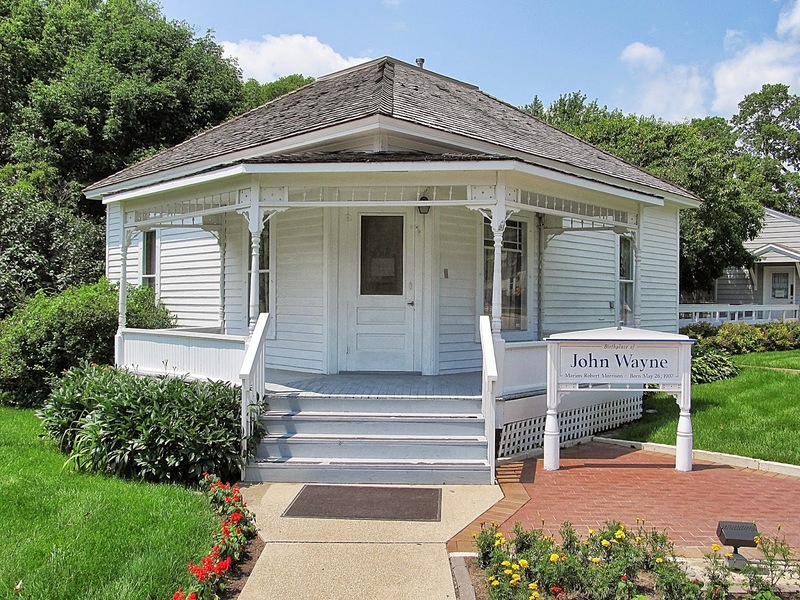 John Wayne's birthplace itself is a very unimposing single-story house which has a nice little gift shop attached to it. 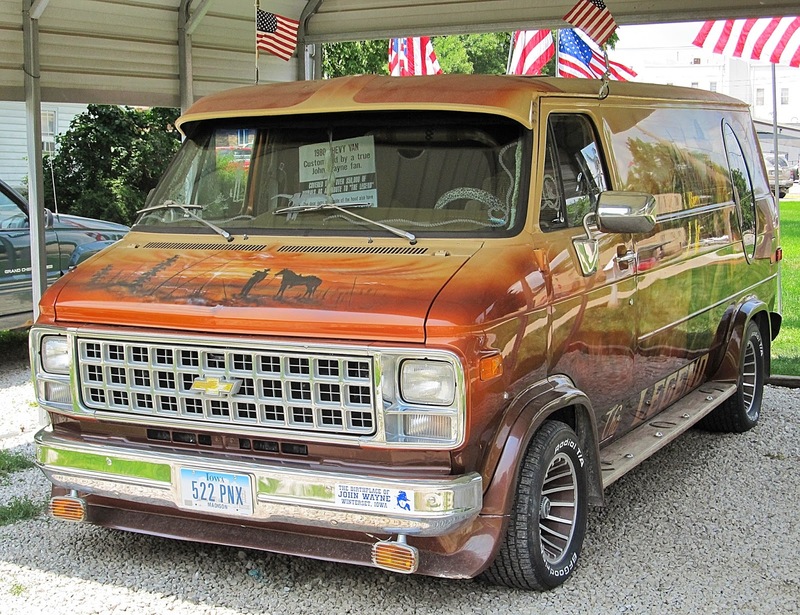 And parked down the street is this great van. 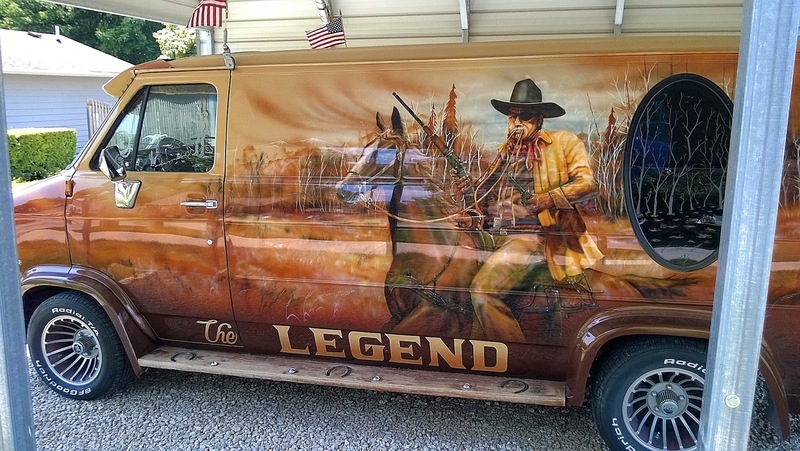 Taking a look at the side of the van you'll find a great paint job featuring John's famous role as Rooster Cogburn in True Grit. Here's the famous scene with Robert Duvall. After getting our fill of The Duke we moved onto Winterset's other main attraction, the Bridges of Madison County. There are six bridges remaining and we ended up visiting three of them. The Cedar Bridge is the only bridge that you can drive through and so we made a little video of us driving through. My comment in the video about burning down the bridge was in reference to the Cedar Bridge actually being burned down in 2002 by arson. The bridge that you drive through today was rebuilt using period materials and techniques in 2004.